I came across this set of questions in posts by Rachel Daw and Sandy Millin (see the original post in which Anna Loseva explains how she came up with the questions here), and thought I’d give them a go, sticking to work-related stuff for the most part. It’ll make more sense if you pretend this was posted in 2015, obviously. The best moment of the year. When I’m pushed to make a decision, I keep thinking, surely there’s something you’ve forgotten. So this most likely wasn’t THE best moment, but it was a proud and happy one nevertheless: a student of mine was the only one from Zagreb University to be awarded a grant to spend a semester at York University in Canada. I like to think the reference I wrote helped at least a bit. What inspired me the most this year? The way my assistant mods contributed to our online course. I did a post on that here. The major news of this year. The AMORES project is officially over!! (If you can find two consecutive exclamation marks anywhere else on this blog, I’ll eat my pom-pom beanie. Apparently the hat of the year, if you’ll excuse the digression.) So, yes, two years of pretty hard work have come to an end and if you would like to help our stats by taking two minutes to download a copy of the methodology here, that would be lovely, thank you very much. It’s a bit of a drag that you have to register, but we will not abuse your data and spam you – promise. For people who like pics, we have loads over on Flickr. I’m at the stage where something could be playing over and over for a whole year and I can’t be bothered to check what it’s called or who sings it. I think the next stage is when I start saying, “They just don’t know how to make music anymore”, and those under 20 start giving me pitying looks. Have very little to do with ELT. What was most difficult for me to do this year? One thing was probably deciding whether to go to the TESOL France Colloquium in Paris, held a week after November 13. I was supposed to give a talk, so I felt bad about cancelling. In the end I went and was glad I did. What color was this year? All the colors in the Fotor for Android effects range. Which event of the year would I choose to remember forever? The BELTA Day weekend. Apart from the professional value, I really enjoyed the dinners on Friday and Saturday with the speakers and the board. And helping prepare the venue was stressful but fun. I think there is a pic of me somewhere sweeping the floor. With a broom. Those who know me well will appreciate the momentousness of the occasion. Which word did I use most often? Probably AMORES. Or maybe please. As in, “Please remember to check the deadline for unit X”. One of the perks of online teaching. My most ridiculous purchase of the year. That would be ridiculous as in disproportionately expensive? Okay, I paid way too much for the train tickets to Paris (see #6), considering I could’ve booked months in advance and paid a fraction of the price. Taking on a second project that required a serious time commitment while the first one wasn’t over. The year was good. If it were a student it would get a C. Parts would get an A or a B. Which inner problem did I solve successfully? Who did I hug at night? Whose wedding did I have fun at? Luckily, no weddings this year. I find them incredibly tedious, and while I’m happy if the person who’s getting married is happy, I would rather just see the pics. Oh, yeah, a friend from high school got married this year – lovely pics on Facebook! What was my average salary this year? Amazingly, pretty much the same as it was for the last three years of running my own school. Which just means it’s a good thing I’m not doing that anymore. Did I have a conversation that turned everything upside down in my head? Nope. I can feel I’m going to be flippant, so just nope. What new project did I start in 2015? See #11. It was an interesting project, too – materials writing. I had to pull out. If I could become a superhero for just one day, what would I do? Revolutionize the Croatian audiobook market. Make people realize you don’t have to be visually impaired to enjoy audiobooks. I’d love to be able to listen to the occasional recording by a Croatian author. What am I dreaming about now? I have this idea of living back home at some point, and home being a good place to live. I’m not very demanding about this: a good place to live is a place where both of us have decent jobs, and don’t have to worry about being laid off or the business failing. What do I consider to be my most important achievement? Probably doing a good enough job on AMORES to know that I could work in a non-teaching role full-time. This year until this moment in one sentence. Oh, I’m crap at this sort of thing. Knowing your weaknesses is a good thing, right? Pass. The latest message I’ve sent. Knowing there’s no way I’d answer all these questions in one go and post them, I saved this one for last. It’s not very specific, is it? Do they mean text message? Viber? Twitter? Okay, the last one was yesterday on Twitter, and I said something like, “Thanks very much for the blog post, please send it to X and myself”. A quote that is most suitable for my year. Too #22, sorry. But I will recommend two books. They could be read at any time; their only connection to 2015 is that I read them this year (when I say read, I mean got them on Audible). “On Immunity: An Inoculation” by Eula Biss, and “Do No Harm: Stories of Life, Death and Brain Surgery”, by Henry Marsh. Did I achieve everything I’d planned for this year? I guess I should’ve kept a list of the things I’d planned, only I’m not a fan of planning. There was this MOOC I started once (not this year) where they said we should “enjoy the serendipity of the random encounter”, which I liked the sound of. 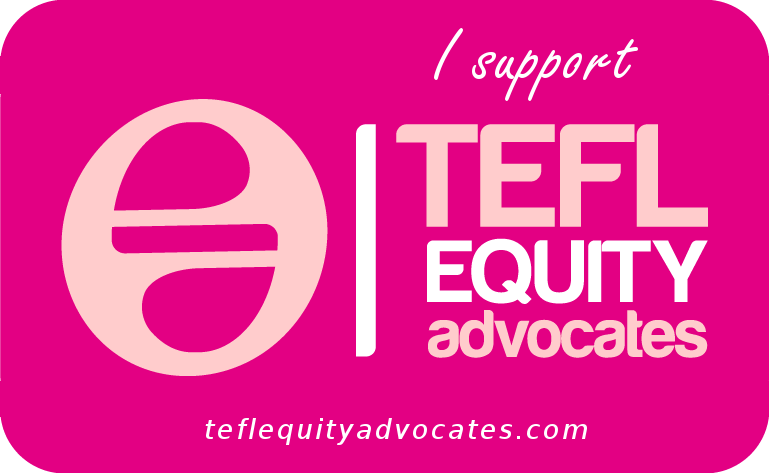 There were a couple of things that went to plan – one was sending in a speaker proposal for TESOL France. I think I also commented more on other people’s blogs, and I’m glad I did – I got a lot out of that, actually (that’s material for a whole other post). How many new friends did I make this year? Ha, is that Facebook friends?! Seriously, I have a problem with this term. You saw me once – or never saw me at all – and now we’re friends? I’ve been told this is a ridiculous way to feel and, yes, friends is probably simpler and visually tidier than “People I know on Facebook” or something. My students, the AMORES project team, the BELTA board. These I know about. I mostly went back and forth between Belgium and Croatia. There were a couple of days I spent in the UK attending an AMORES workshop (Stoke-on-Trent and Birmingham), and, of course, the trip to Paris for the TESOL France Colloquium. 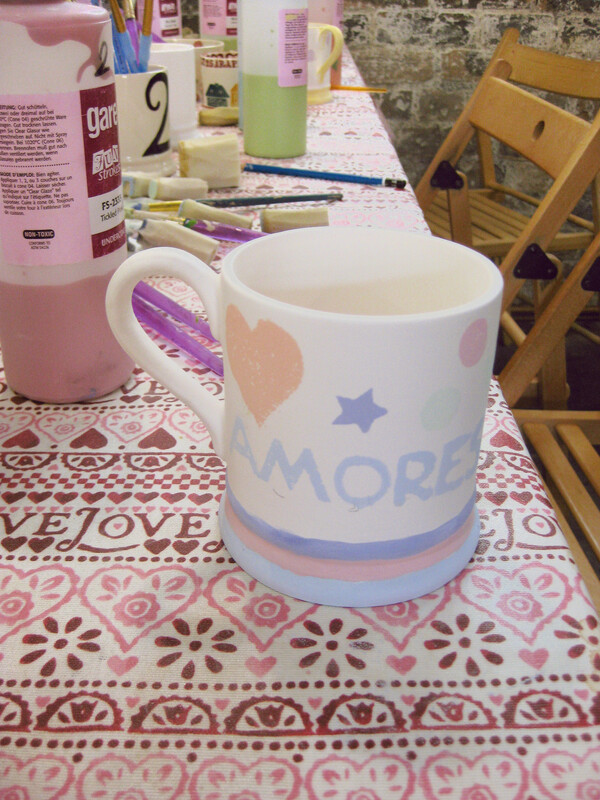 Bonding activity at Emma Bridgewater during the UK workshop. Which projects am I putting off till next year? See #25. There’s nothing in particular. Okay, one thing comes to mind. Despite my audiobook obsession, I’ve continued to buy paperbacks. So I was thinking I should take a break from audiobooks and go back to reading, at least to get through the books that have piled up over last year. Possibly write something that’ll make it into a publication with a wider readership. We’ll see. I know what you mean about the projects. I think many of us underestimate our energy levels. Stuff gets done but what toll does it take? This was so interesting. Yep, I get the typical empty time and start fretting, take on too much (while studying at the same time) and then go “UUUUGGGHH!” Will I ever learn? I doubt it. Would you believe that I’ve never thought of getting an audiobook? Thanks for helping me set a goal for 2016. 🙂 Anyway, a nice post, Vedrana. I really enjoyed reading it. I’m pretty new to audiobooks, but was quickly hooked. It also depends on who’s reading. I recently listened to a book with lots of dialogue (Career of Evil), where the narrator had to do a range of accents – as it was BrE I couldn’t really judge if he overdid them or not, but it was still great fun.